In the film Invictus, the fictional Nelson Mandela was starting to get absorbed in the Rugby World Cup of 1995, filling in the wallchart in his office as if performing a solemn duty of State. I guess the film-makers were using the wallchart to convey the largeness of Mandela’s personality, which along with the great seriousness for which he was revered, had this playful side. 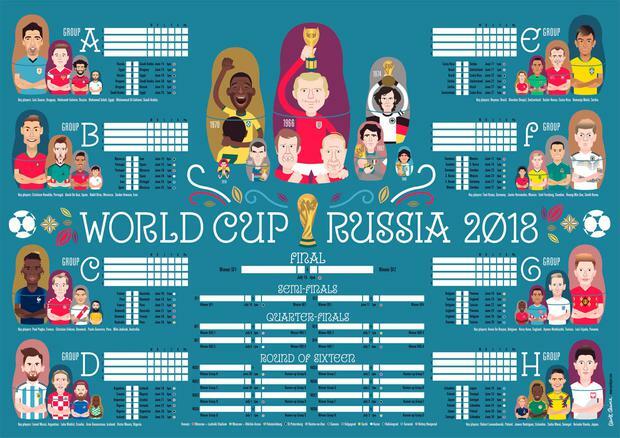 But maybe it is more than just an outbreak of childish enthusiasm, this desire in the human heart which erupts for a few weeks every four years, to put up a World Cup wallchart and to fill it in with ritualistic zeal. Declan Lynch I blame myself really. Which is probably a common reaction among those who have suffered at the hands of large institutions: this sense that we were somehow complicit in the madness which was visited upon us; that we should have known better.